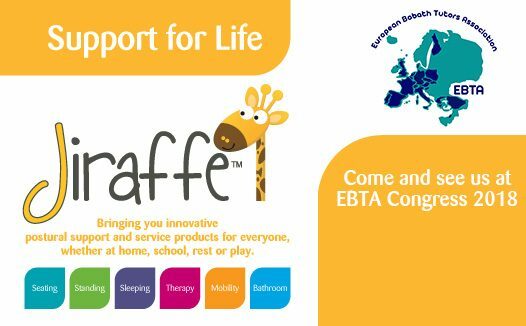 Jiraffe will be at EBTA Congress 2018, will you? The Bobath tutors in the UK are hosting the Biennial European Bobath Tutors Association Congress, EBTA 2018, in Brighton in September, incorporating the theme ‘Ages and stages (of children and young people with cerebral palsy)’. EBTA is an international professional network representing physiotherapy, occupational therapy and speech & language therapy Bobath tutors from 18 different countries in Europe. Its aim is to set, maintain and update standards of all types of Bobath courses as well as standards for the training of Bobath tutors and has a mandate to encourage and implement research. 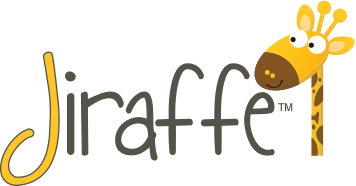 During the event, Jiraffe will be showcasing two products from our paediatric postural support range, Standz and Junior+ by Jenx. 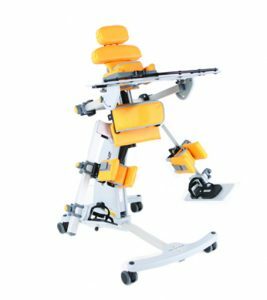 Standz – A versatile standing system offering prone or supine standing that accommodates abducted or neutral leg positioning for children between 1-9 years. 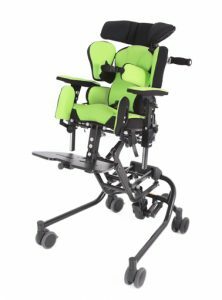 Junior+ – Comfortable, contoured and stable modular seating system, designed to suit the needs of children between 18 months – 12 years.